I have a Viper that I bought new around 1980. It is black, but rather than having a smooth satin fish it is the rougher finish. The neck is maple with an ebony fretboard. I had a music store tell me this is sort of a rare combination. I have it listed for sale on Reverb. Any information would be helpful. Location: The Great Pacific Northwest Sounds like you already have all the info, except it's not exactly "rare"
Location: Keepin' It Weird in Portland, OR THIS one? Location: The Great Pacific Northwest I missed the "rougher" finish bit. Likely a refinish with bowl paint as this is a later model in the run based on the bridge and switch location. Definitely is not a "re-finish" as it was bought new at music store. Location: The Great Pacific Northwest Might have been a special order. That was never a color option for that model. 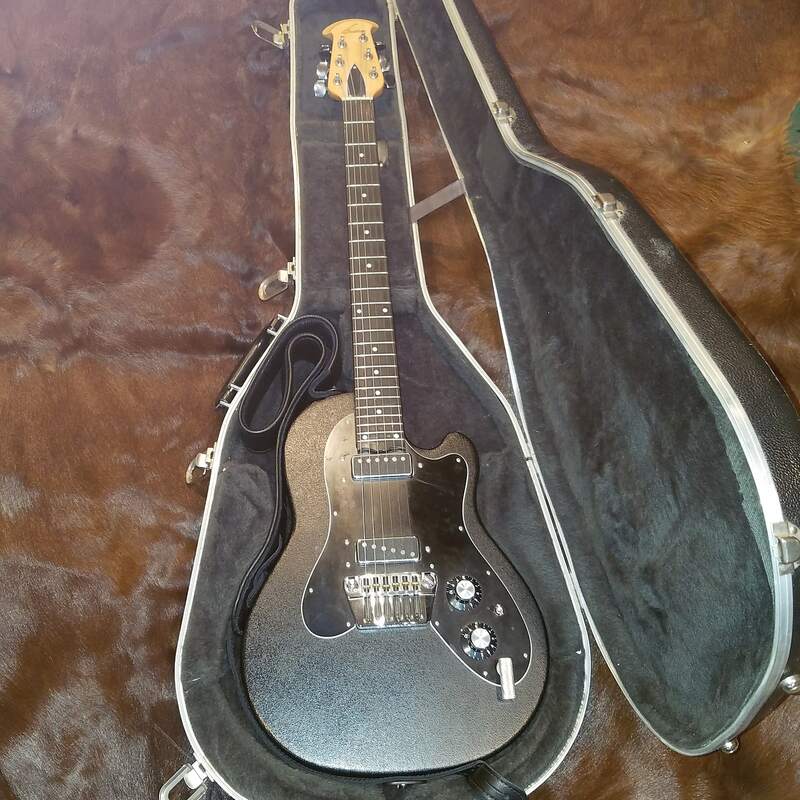 Ovation did often do one-off guitars. The serial number may tell more of the story. Also, you can now post in the general area. Maybe someone else has additional insight. I took a closer look at the pictures on Reverb... There are several possibilities about the bridge, or the body, or the neck plate. The serial number indicates it's from near the end of the run. The body has the hole in the back that was used for the bridges in the first few years of the run. There was no need for this hole if it had the bridge that's on it originally, or made near the end of the run several years after they no longer used the bridge that had the stud going through the body. On a few of the guitars when they transitioning to the new bridge, the holes were plugged, and if done at the factory would have most certainly covered the plug as it serves no purpose now. The bridge as indicated above was the final iteration of that bridge. The pickguard is also from the near-final run as it doesn't have Viper etched on it. So bottom line, the body is not from the same era as the pickguard and bridge. Hard to tell the history based on all that. Maybe someone had an early body, had it painted with bowl paint and put newer parts on it? Who knows.